your eyes versus what the camera captures". Bridal services on location or In-studio for your entire wedding party. 360.00 This is our all inclusive package for Brides who want it all. You will receive a trial run for both makeup and hair 2-6 weeks before your wedding in our studio. Wedding day makeup application, lash application (if desired), hair style and a touch up bag with everything you will need to stay looking fresh and beautiful throughout the night. 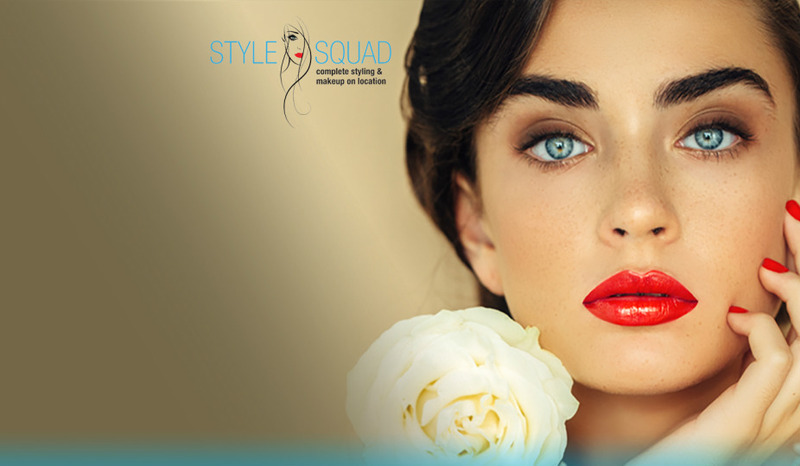 During your trial your makeup artist and hair designer will work together with you to design your desired look based on your individual style and over-all vision. 90.00 Includes: consultation before the wedding, wedding day makeup application and touch up bag for the bride. (Includes false lashes if desired). 90.00 Includes: hair style consultation before the wedding and wedding day hair style. 75.00 Try out your makeup or hair style with a trial run in our studio. It is a great idea to do this the evening of your engagement photos, bachelorette party or other special event. You will look fabulous for your event! You will also get to see how you look in photos and get feed back from family and friends. During your makeup trial, we will go over skin care, color theory and application technique. 100.00 per hour. This is the hourly rate for touch ups if needed. Sunless Spray Tan ~ 40.00 per/person (Bride is free with a group of 5+) add 10.00 for anti aging, extender or shimmer enhancement. Perfect for the night before the wedding, bachlorette party & honeymoon! This can be done on-location or at our spa! Individual Eye Lash Extensions ~ 200.00 Long-lasting, synthetic lashes that are applied individually to your natural lashes with medical-grade adhesive. Lasts 6-8 weeks, depending on your lash cycle.